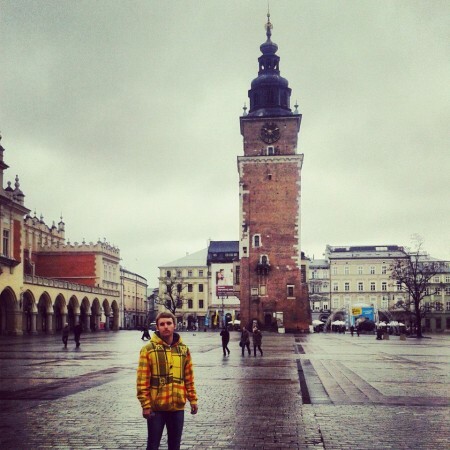 It was such an honor for me to see Krakow with my own eyes. I always wanted to visit this place cause I was aware of the fact that Krakow is exceptionally beautiful even before I went there. I consider this city to be one of Central/Eastern Europe’s best, and if you travel in the nearby future, I strongly recommend to visit Krakow as soon and as thoroughly as possible. Hour after hour, a harsh and bugle sound can be heard from the tower of St Mary’s Basilica and then it suddenly stops. At the Rynek Glowni cafe, situated on the square of the old town is worth a visit. 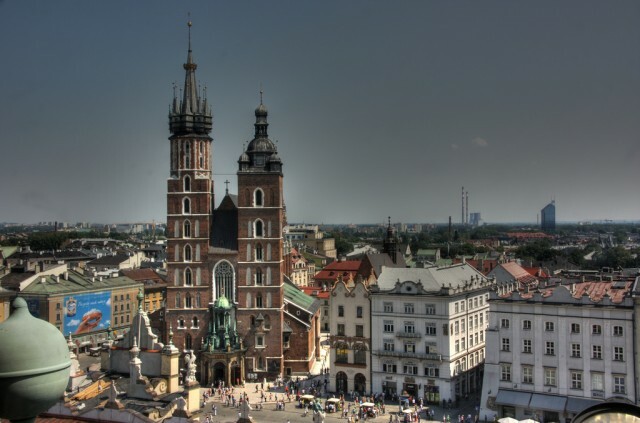 Krakow is not only the “Slavic Rome” but also the “Citadel of Legends”. Here you will find more than 100 churches and monasteries, nuns that have faces reminding us of Virgin Mary and numerous people who worship everyday in one of Krakow’s churches. Around the year of 900, Krakow was already an active trade center and a century later it has become both an archbishop residence and a royal residence for the kings of the Piast dynasty. At the cliffs of Wawel, towering near the Vistula, the Piasts established a castle which survived the raids of the Tatars in 1241-1242. Krakow flourished under the leadership of Boleslaw V and his successor Kazimir III. It has gained an aspect of a Chess Table with perpendicular streets and also has many 200 meter squares which were considerate exaggeratedly big that time . The university, where Copernicus taught for a while, was founded in 1364 and the city joined the Hanseatic League in 1430. Krakow was a center of Textile Trade, and the Renaissance commerce hall was built which was a wharf (Sukiennice), a sing of the flourishing of the economy. Nowadays it is the icon of the city called Krakow Cloth Hall. The streets were planned harshly, while the buildings which surrounds the streets have an impressive symmetry. The churches were richly decorated, having over 200 golden sculptures. Italian architects and painters have created here masterpieces of Renaissance. The city lost its importance after 1595 when Sigismund III of Poland moved the country’s capital to Warsaw. The economical development decreased yet cultural development increased. The cultural contribution was brought by Jewish people, who were settled in the city since the late middle ages in their own neighborhood called Kazimiers. There lived the most important Jewish community in Europe who helped and contributed much to the city’s development until the Nazis deported most of them in World War II. 65.000 Jews were deported from the city, most of them died in Auschwitz-Birkenau. Jewish culture, however, has returned after the war and in Kazimiers, Steven Spielberg made the movie “Schindler’s List”. Jewish music, Klezmer, can be heard all around the neighborhood. Usually a walk in Krakow starts with the roaming from the old Railway Station, passing through the Florianska neighborhood which has many fashion boutiques, delicatessens and souvenir shops and it ends at the iconic Rynek Glowny (The old market square in Polish). It is filled with extraordinary cafes and pubs.Young people gather on the stairs of the memorial of Polish poet, Adam Mickiewicz. The square is also filled with women who sell flowers and lively musicians who play both traditional Polish music and international songs. Following the Grodzka boulevard, the second biggest in Krakow by size and it reaches the hills of Wawel. The Castle, Cathedral and the surrounding buildings technically form another little city above the hill. You put the question “how come this opulence can’t become dull ?” Maybe because of the breeze that comes down from the Tatra mountains, or maybe the 50.000 students move the old town of Krakow. Music can be heard all around, even a simple flute is enough for a lovely atmosphere. When night comes, the clubs are filled with jazz and other type of music. 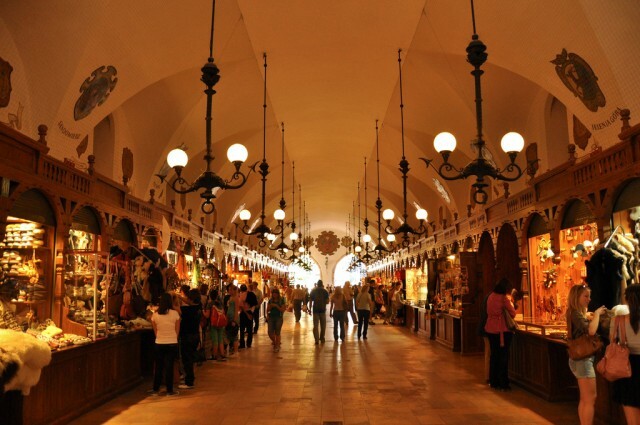 Did you have a chance to visit Wieliczka Salt Mine? If not – I strongly recommend you this place. So amazing and impressive.